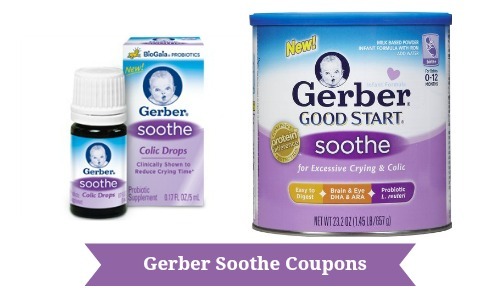 Here are two brand new Gerber Coupons that you can use to save up to $8 on select Gerber soothe products. These high-value coupons, while pretty good on their own, would go really well with store coupons. Please note that the colic drops coupon can only be used at Walgreens, CVS, Rite Aid, Babys R Us, and Duane Reade stores.